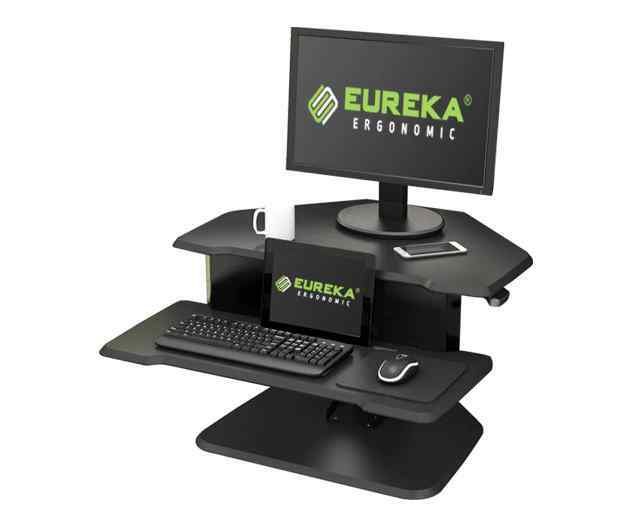 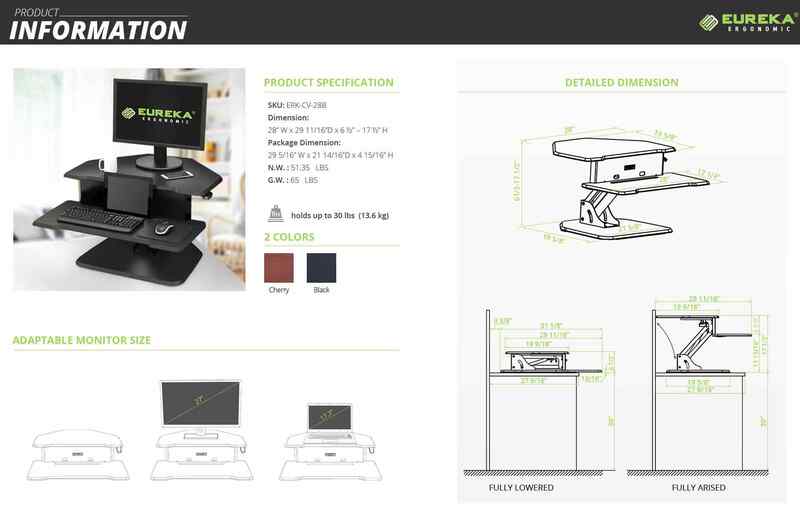 The Eureka Ergonomic Corner Desktop Converter with a 21 5/8” W x19 5/8” small desktop footprint , could fit into most any working environment. 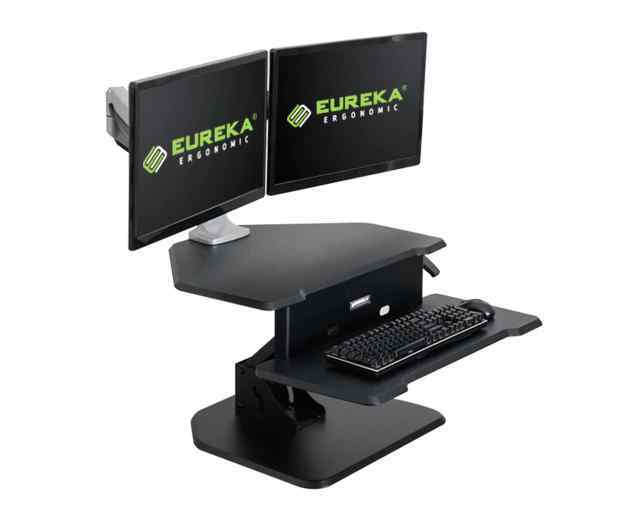 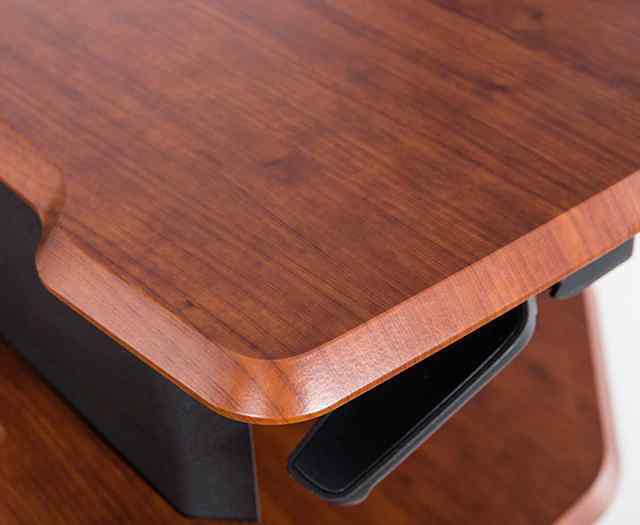 Two-tier desktop to accommodate your monitors, keyboard, mouse and other small objects. 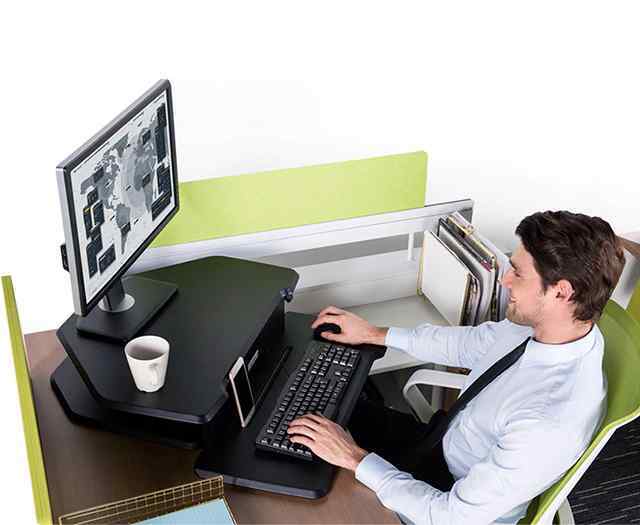 Fit your mouse, keyboard and other small items on your super-sized keyboard area.